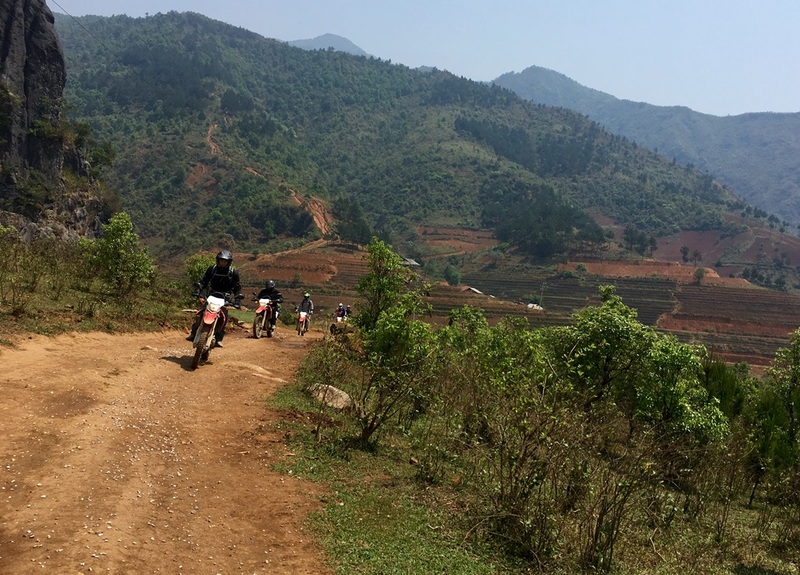 Most of the tours made by Vietnam Motorbike Tour Expert are the mixture of on and off-road riding, depending on the weather and the riding skill of the riders we can be flexible to make it harder with more dirt-tracks/off-road trals or make it easier with mostly paved back-road. 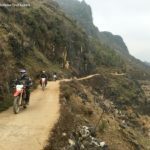 This 6 day Northwest Vietnam motorcycle tour from Hanoi is written for the experienced riders or for the people who want to challenge themselves. 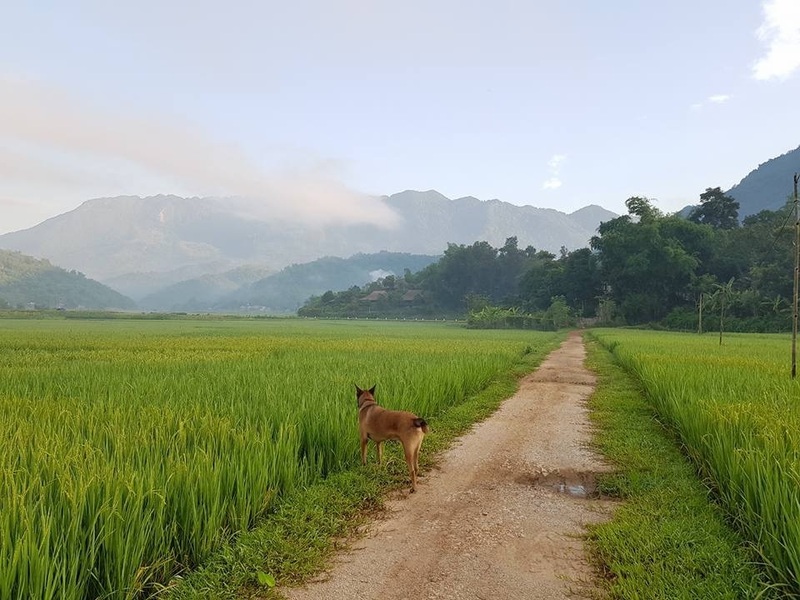 Besides, it’s also the one can show you another Vietnam and show you interesting culture of the colorful hill tribes in the remote area in North Vietnam. Please click here to view the route map ! The first and the last day of a motorbike tour from Hanoi is always an easy day. After tour briefing by our guide about: traffic, distances, sights … You will leave Hanoi around 9:30. Slowly escaping the noisy city, then stop for lunch somewhere on the way before you heading up the mountains with the beautiful windy back roads and small off roads. Settle at the home stay round 4:00 have beers while listening about the Thai’s cultures. Dinner’s served at the home stay. 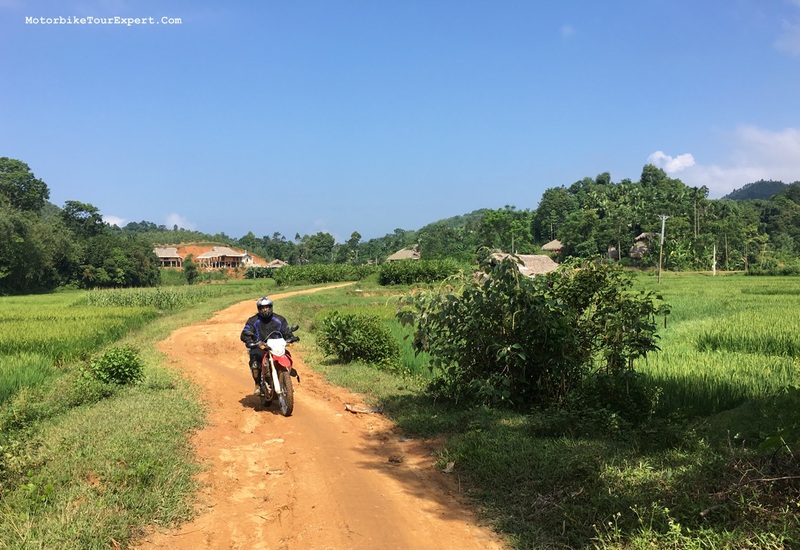 As usual, you are leaving the home stay around 8:30, slowly riding through beautiful villages of Thai ethnic group before you enter in unbeaten tracks, somewhere we call untouched areas right after the valley of Mai Chau. Throughout a lot of green tea plantations, corn, banana farms, meeting big smiles from local people… That will blow your minds away. 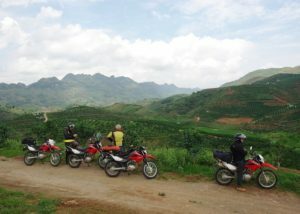 River crossing by a small boat and continuing off roads to Phu Yen, home stay or hotel stay will be on your need. 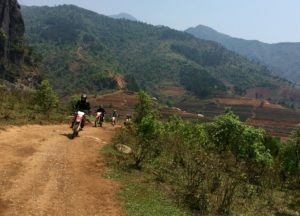 After having breakfast in local food store, We will start the day with full of off-road riding/challenge. It’s approximately around 110 km. 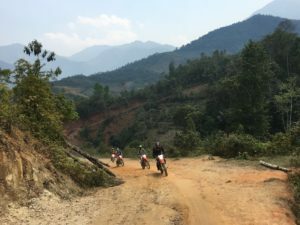 If you think it’s too long or too hard for you, we – the Vietnam Motorbike Tour Expert can also change to ride on a different route so that the challenge will be easier. We always have our back up plan for everyday to meet up your need, so don’t worry about that. Pass by a big hydro power station before you arrive in a beautiful special home stay. Why this home stay is special? ‘Cause there is a natural mineral hot spring right underneath the house. That will be a good treatment to help you to recover from a long day off roads. Dinner’s served at the home stay. Another beautiful day with a lot of stops for pictures, you will be through the best area in Vietnam where is very famous for rice terraces. 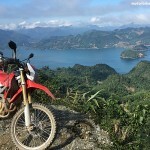 Off roading up to high mountains where you think you get lost in paradise. Hundreds stops, thousands of pictures will be taken that what we guess. Heading up to peak of mountain (2000 meters above sea level) before we arrive at the home stay in Sapa around 4:00. Herbal bath in the hot tub, beers or walking around the village before the dinner is a good idea. Long easy day, heading down from high mountains, following the twisty side roads to avoid the traffic, just only stay on the main road 70 around 50 km and then all the back roads, small off roads to the beautiful home stay of White Dao minority locating right next to biggest manmade lake in Vietnam. Highlight for today is the boat trip around the lake where you can have beautiful sunset pictures if the weather is good. A big farewell party’s organized by the host with a lot of what we call Rice Wine. The final day of this great 6 day motorbike tour Northwest Vietnam is an easy day with interesting ride, cruising back to Hanoi on the dyke of 2 rivers. Lunch will be at Viet Tri town or if you want to spend more time in Hanoi, we can leave the home stay earlier so you can have lunch in Hanoi before we drop you off at your hotel. Tour ended!